I love this setlist. For the live trax from No Tourists fit very well and complete what was missed by some trax of The Day Is My Enemy. Light Up and Need Some1 are bombs if you watch and hear it live. Other trax great too. Resonate is pure class. I love We live 4ever, but I would play a longer and reworked version for Timebomb Zone, not just 2 minutes track. That's only because Liam made a mistake and played the Out of Space outro after Fire. The printed setlist is the same. The accuracy of printed setlists have been off in the past. Example: "New Beats" was on the printed setlists for all of 2014 yet they stopped playing it in 2013 or very early 2014. Interesting. 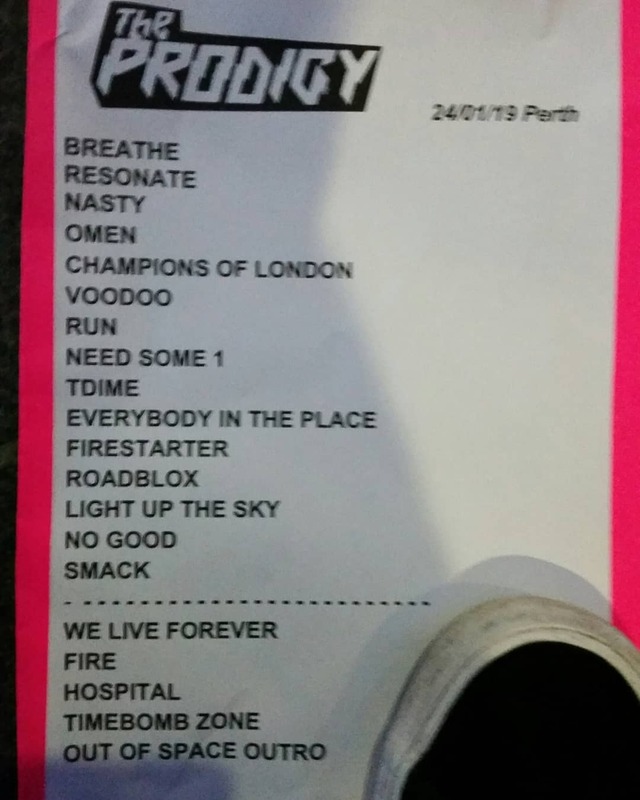 Setlist.fm can't be trusted most of the time but i've seen many comments on instagram saying they ended with smbu at Brisbane. It only took them a decade to move the song in the set... I think it's also the first time tmtth has been a part of the main set instead of the encore.